How High Is Your Risk for Employee Fraud? It takes less than 2 minutes to learn about fraud detection and prevention. Do you have a formal system to find and adjust billing irregularities? Are your bank statements reconciled by someone who doesn't write checks? Do you use paper checks, and is your check stock secured? Do you conduct criminal security checks on all employees prior to hire? Does your company use a third party accounting firm? Do you have a stated fraud policy and zero tolerance for theft? Do you have a policy to ensure that asset misappropriation doesn't occur? Does your company conduct fraud training for employees at all levels? Do you have a program that rewards employees or vendors for fraud tips? Do you do surprise bookkeeper audits? * U.S. Chamber of Commerce reports that one of every three business failures (33%) is the direct result of employee theft. Applying does NOT affect your credit score! *This is not a credit card. Banking services provided by The Bancorp Bank, Member FDIC. This Card is issued by The Bancorp Bank pursuant to a license from Visa U.S.A Inc. and may be used everywhere Visa® debit cards are accepted. If your employees access your company’s money and accounts, make certain you know how your financial assets are being utilized. Maintaining a record of employee purchases and disbursements is vital for preventing occupational fraud. You should never allow employees to access your finances without the proper tracking mechanisms in place. Your company is at higher risk of employee fraud if you don’t have a system to find and adjust billing irregularities. The Association of Certified Fraud Examiners found that billing irregularity accounts for more than 25% of asset misappropriation in US businesses. One good way to prevent occupational fraud is to choose business debit cards from Bento for Business instead of traditional business credit cards. Bento for Business has an A+ rating from the Better Business Bureau, and funds held within Bento are FDIC insured for at least $250,000 through The Bancorp Bank. 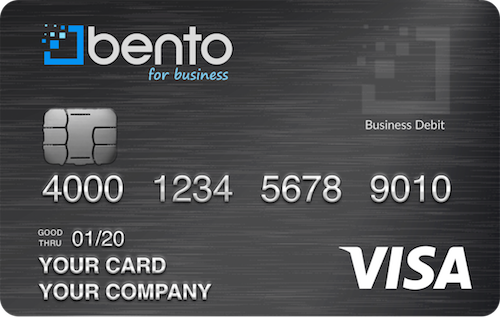 Bento for Business is much more than a small business credit card. It’s also an app and online solution that allows you to control employee spending in real time. Turn individual cards on or off with a click — there’s no risk of misuse. Our online dashboard allows you to set expense limits so you don’t have to worry about exceeding budgets. The software also shows you any card declines and purchases. Our free fraud calculator identifies ten areas that increase the likelihood of employee fraud. The calculated fraud risk is based on financial data gathered by ACFE and other leading fraud prevention organizations. The Bento fraud calculator comes with a detailed series of anti-fraud recommendations, as well as dozens of supporting links on fraud prevention, risk assessment, and detecting fraud in your small business. What Types of Fraud Can You Control? A positive work environment helps reduce theft, and encourages employees to follow established procedures and policies. Internal financial controls provide an important firewall. For example, no employee should be responsible for both processing and recording financial transactions. Hire with caution: Implementing a strict pre-employment background check is essential to hiring good employees. Creating an internal financial awareness program is an effective way to communicate your company’s ethics to your employees. Surprise audits are one of the best ways to detect fraud early. Regular audits are essential in determining whether your existing internal controls and policies are effective. 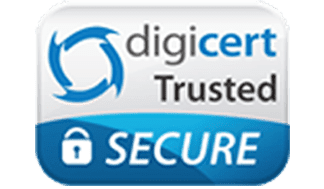 Every company should have a way for employees, customers and vendors to report fraud and thefts anonymously. Use prepaid cards from Bento instead of checks and petty cash.